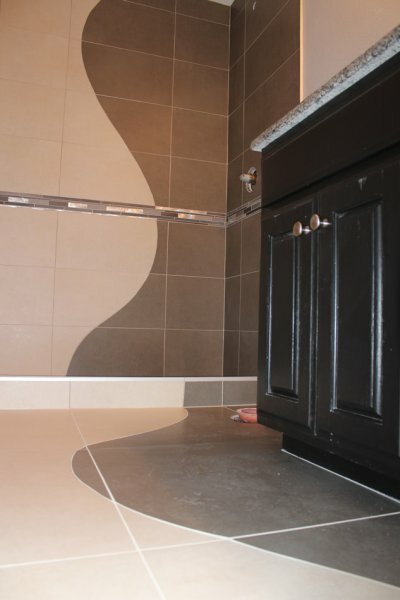 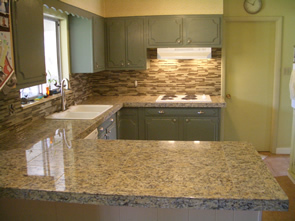 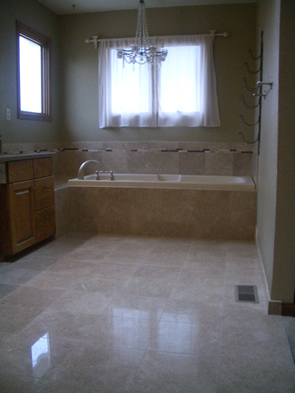 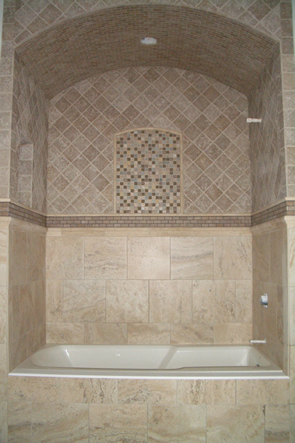 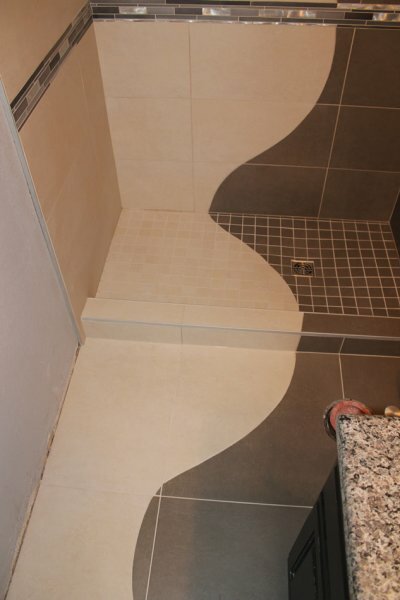 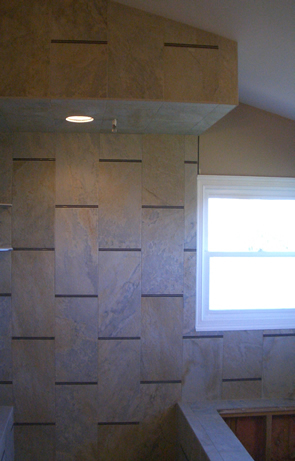 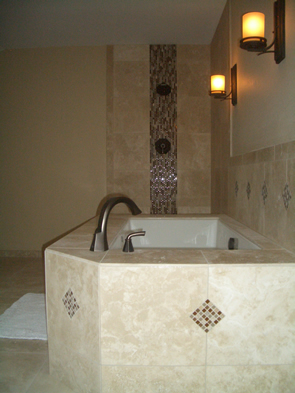 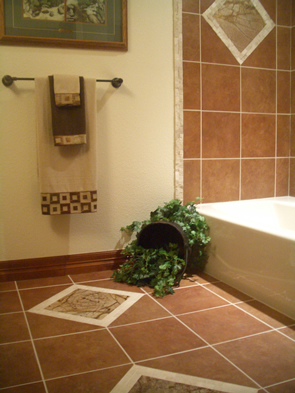 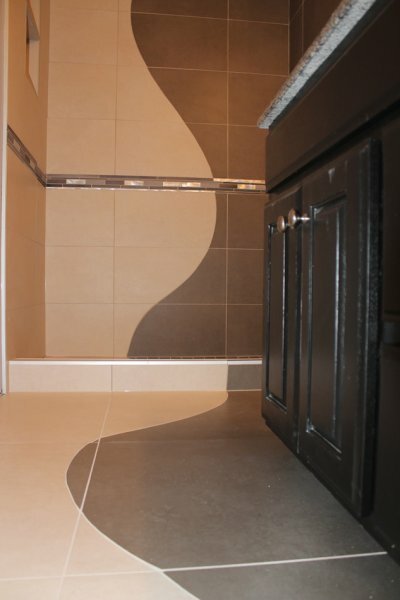 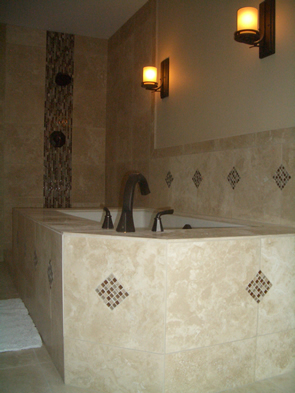 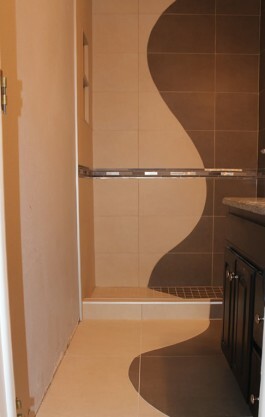 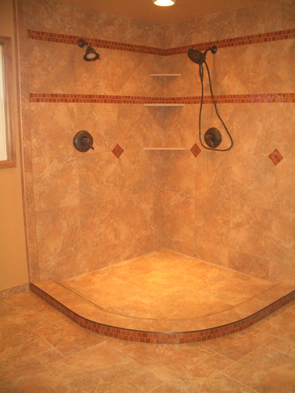 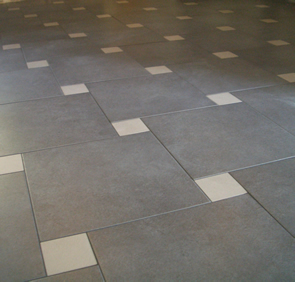 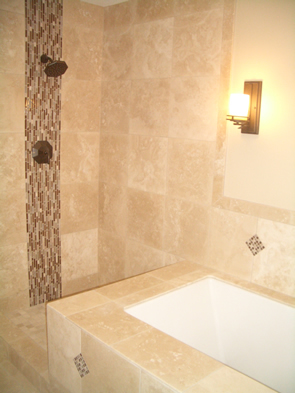 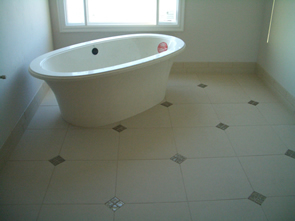 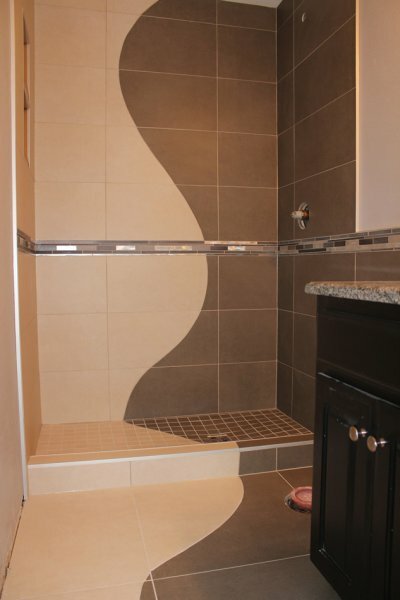 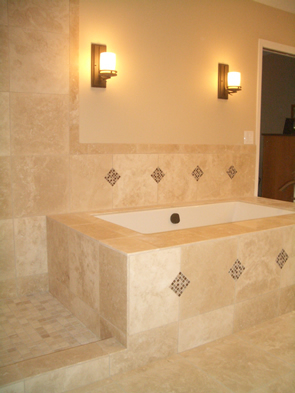 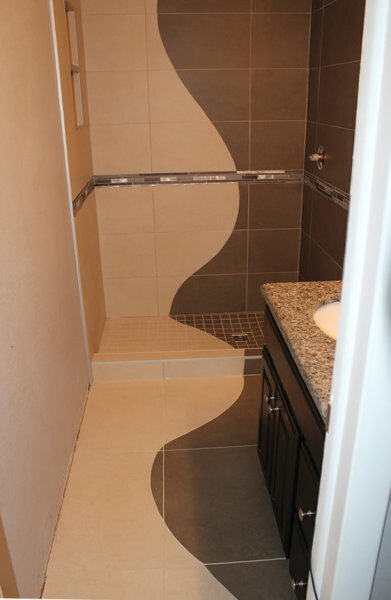 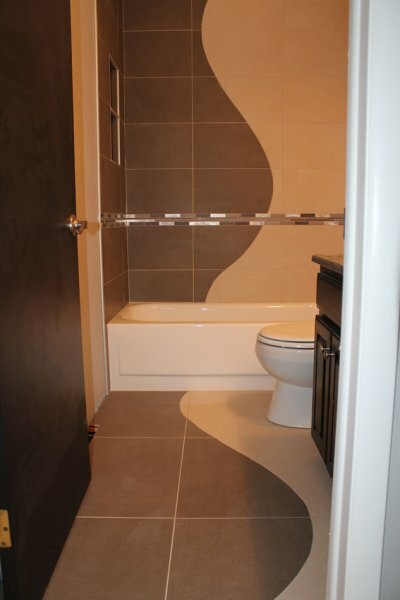 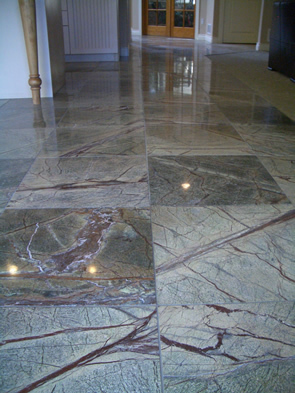 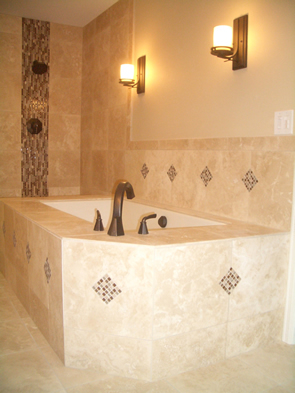 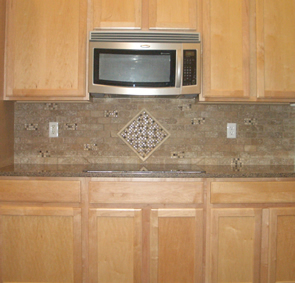 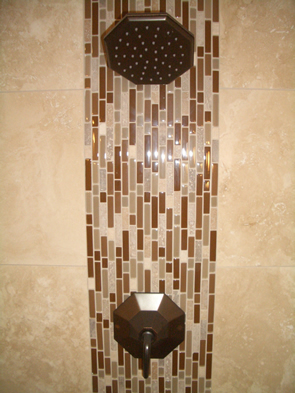 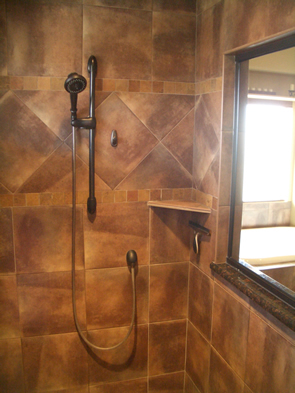 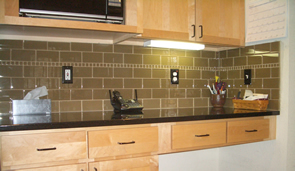 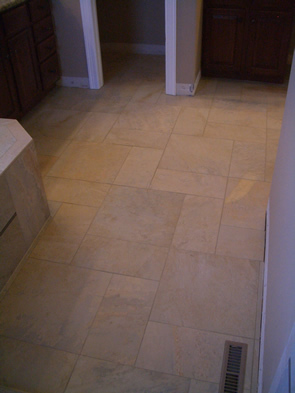 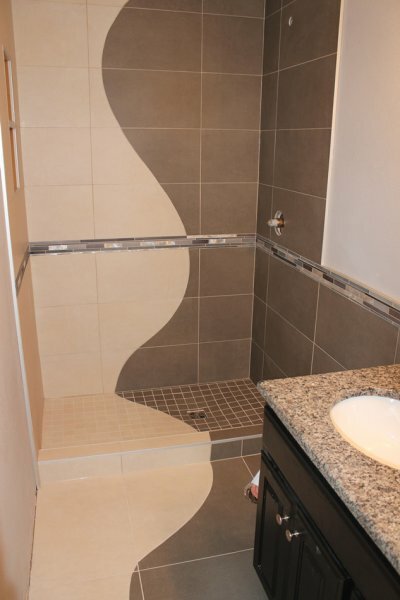 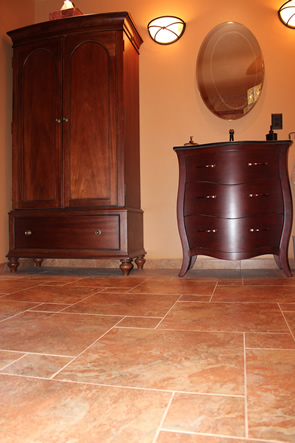 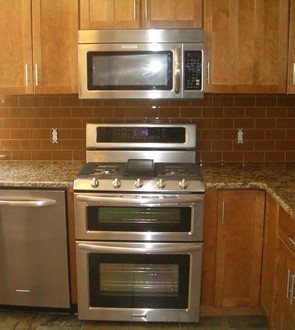 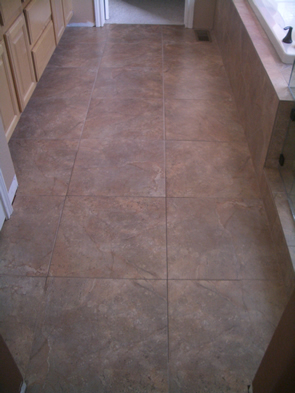 At Tile Art we LOVE to do custom work! 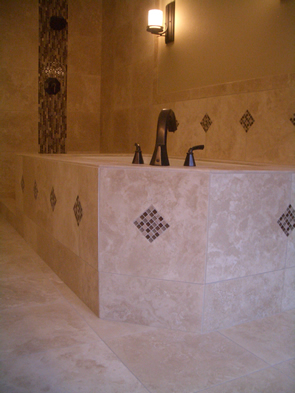 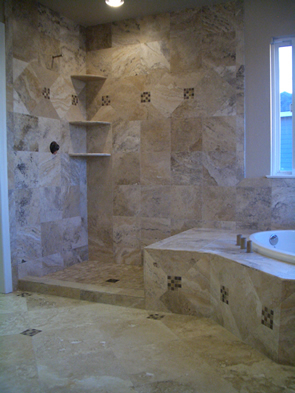 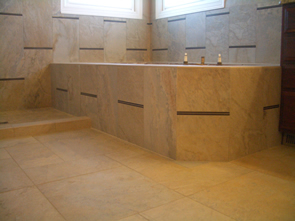 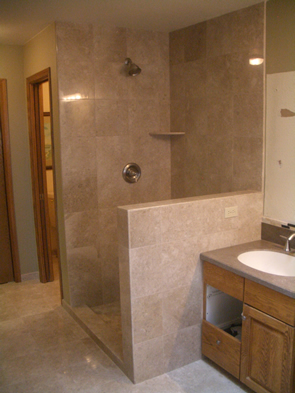 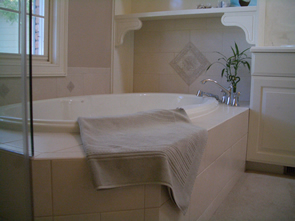 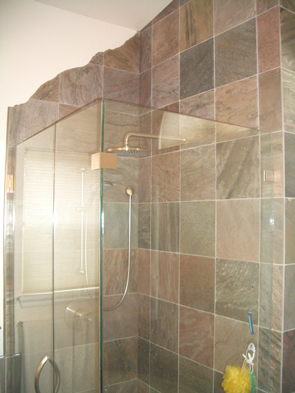 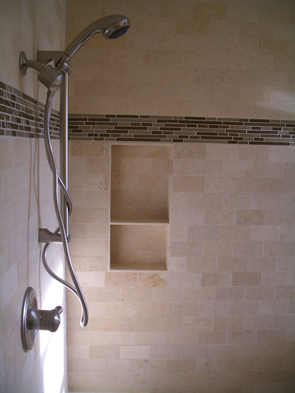 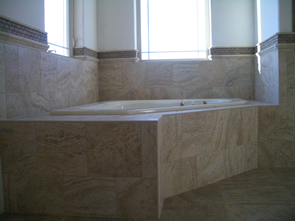 Nearly anything you can envision we can bring to life in your custom bathroom. 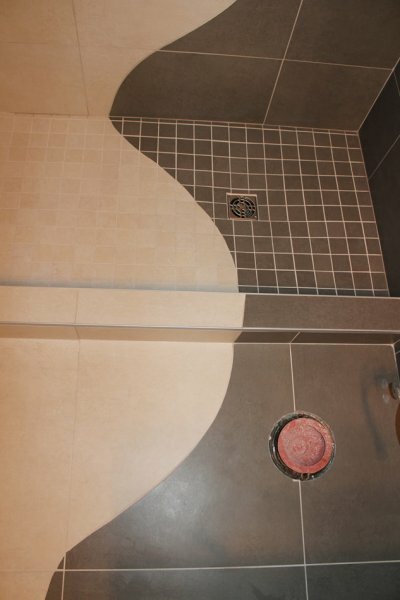 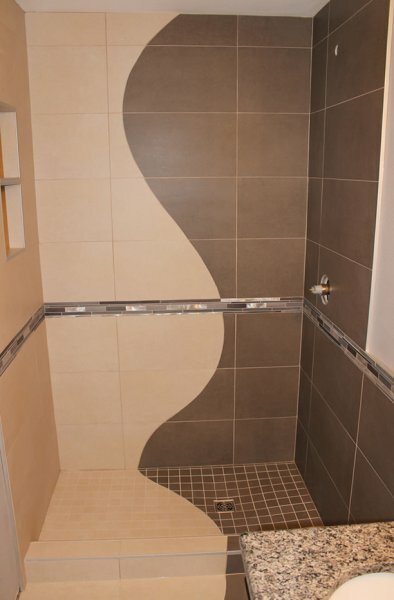 We did these two bathrooms with a ‘wave’ theme, incorporating 12×24 porcelain tiles with a glass, marble and metal mosaic liner. 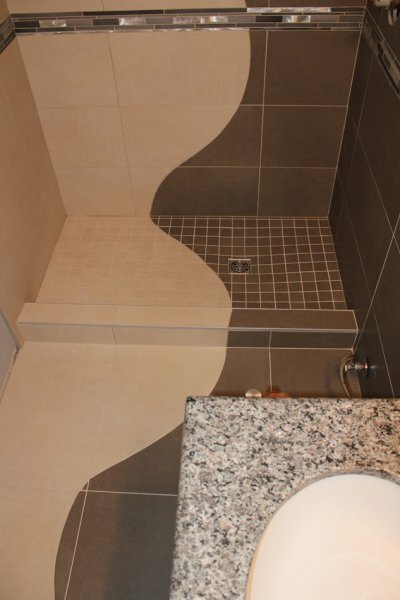 In the upstairs bathroom we ran the wave in the back of the tub wall all the way to the ceiling and continued the design onto the floor. 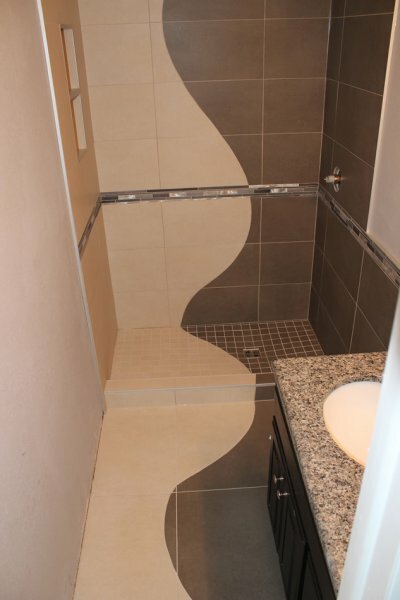 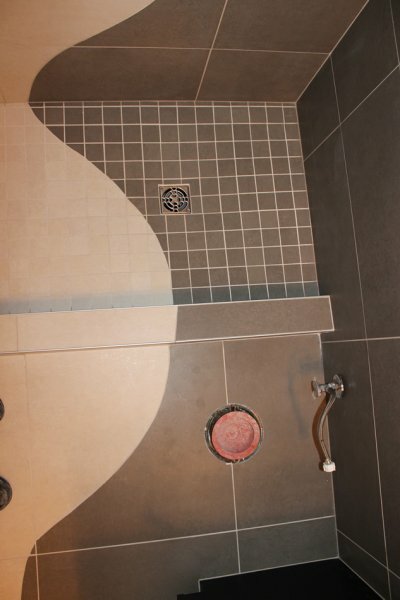 In the basement bathroom we built an entire stand-up shower incorporating the wave all the way from the ceiling, down through the shower floor mosaics, over the shower curb and out onto the bathroom floor. 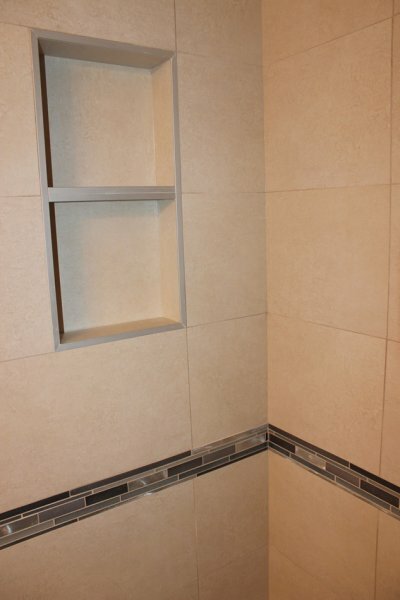 The main field tile also runs out onto the side wall and around behind the vanity for a seamless look behind the toilet and over the vanity top as a backsplash. 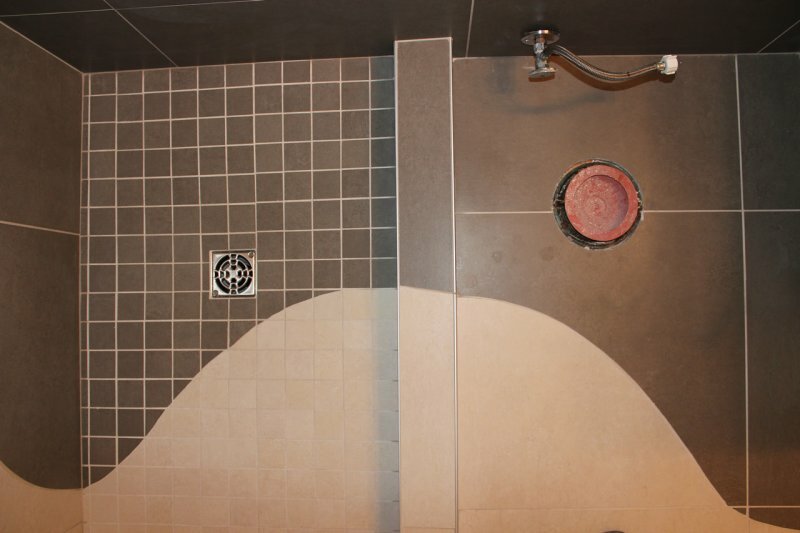 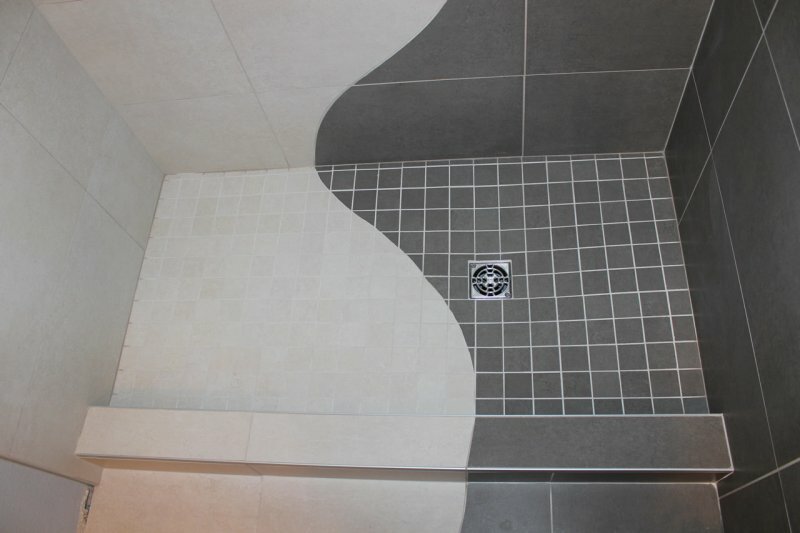 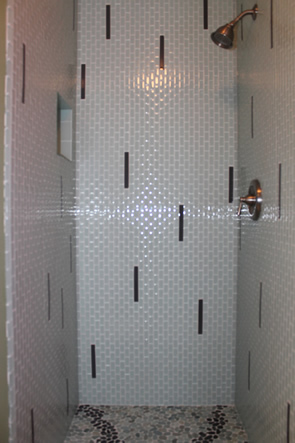 The edge trim on all the tile is a schluter metal trim piece, which incorporates nicely with the metal in the mosaic liner for a complete, clean, finished look. 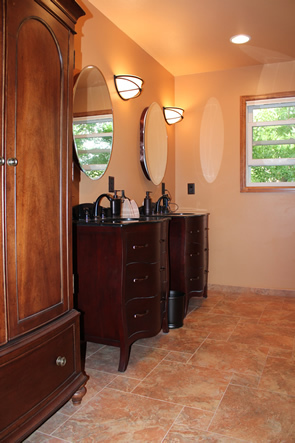 The dark and light portions of the bathrooms are reversed in the basement and upstairs to further distinguish the two while keeping the same theme. 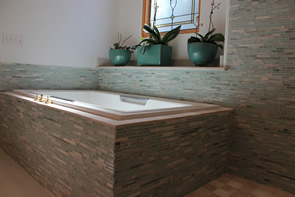 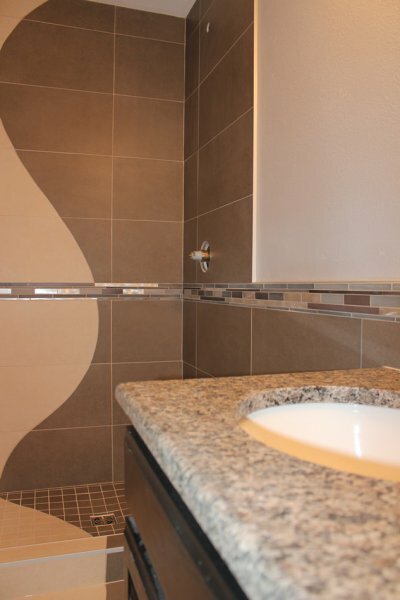 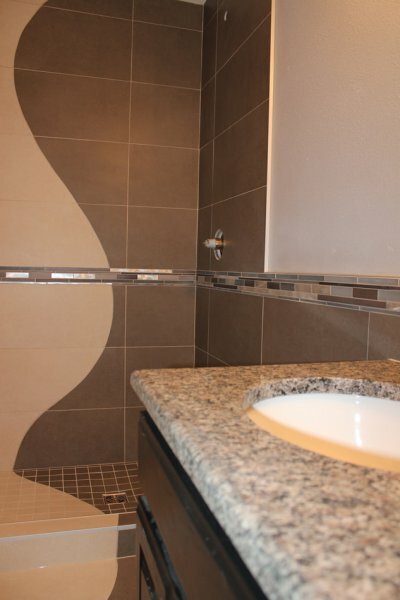 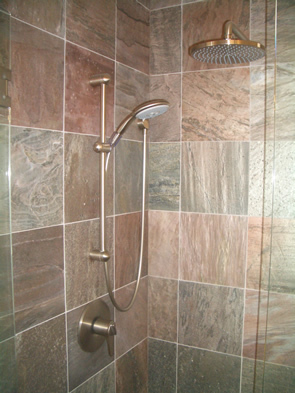 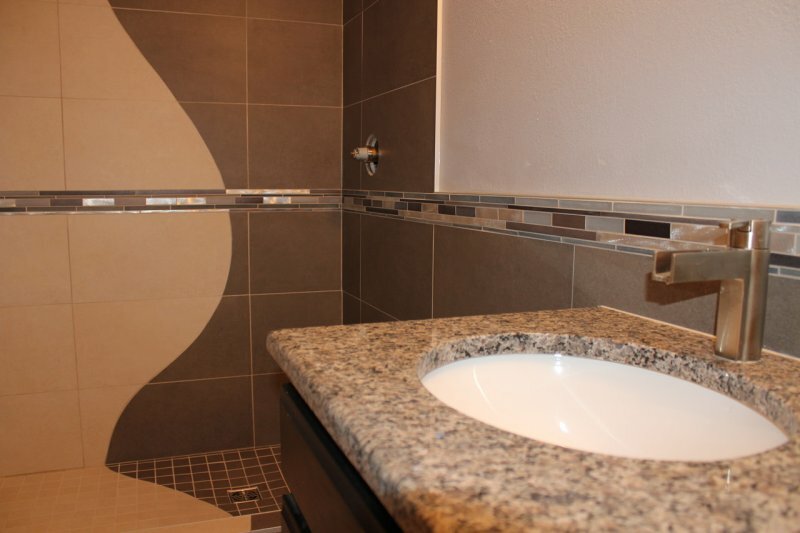 If you would like to discuss your custom bathroom in Fort Collins, or any part of Northern Colorado, just give us a call at 970-213-3682 or use our contact form. 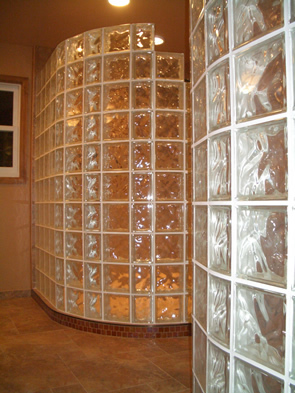 Let us help you bring your vision to life!